There are many reasons why one might choose to wear a hat. Hats are a fashion statement, or a distinct style choice. Hats are also uniforms for employees or athletes. They convey school pride or sports team allegiance. They announce “I was here!” when branded with special event logos or dates. Hats can shade you from the sun, or keep you warm in cold weather. It seems there’s a hat for every occasion. Did you know that many hats can be customized? Say you need a baseball cap for your team. You can customize a set of baseball caps. Want to make hats part of your staff uniforms? Put your logo on matching visors. Need merchandise to promote your snowboard company? Custom beanies it is. Custom hats let you make a statement on an already prominent piece of clothing, and there are many ways to personalize them depending on your goals. They encourage uniformity. Customized hats can help organize a bunch of people into a uniform group. They’re often part of an employee uniform, a volunteer group, or a sports team. For example, when employees are all wearing the same custom cap, it makes them identifiable as a unit. They reinforce unity. When several people wear a special, customized item of clothing, it has the ability to bring them together. Sports teams and coaches know this idea well. When each member of a team all wear the same hat — emblazoned with their mascot, team name, or logo on the front — it creates a cohesiveness that carries over from the field or the court into everyday life. They promote recognition. A business or company name on a hat is easily recognizable. Custom hats are easy to spot and make fine marketing tools as well. They’re just plain fun. Custom hats are a great way to bring people together around a fun cause or event, like a charity run or a family reunion. There are countless types of hats worn around the world, and many with special purpose or significance. However, simplicity is key when choosing hats to customize. For starters, custom baseball hats are a classic choice because of their timeless look and casual vibe. Baseball hats can be constructed or unconstructed, referring to the material and shape of the crown of the hat, but most baseball hats offer a wide area to add a patch or embroidered logo. 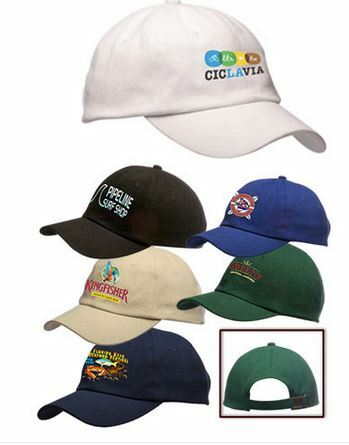 These caps are popular across generations and make solid choices for sports teams, promotional swag, and staff uniforms. A minimalist variation on the baseball hat is the visor. Visors are easy to wear, super adjustable, and fun to customize with colors or logos. Ideal for active athletes - you can often find custom visors in a pro shop or running store due to their athletic look, shorter bill, and open top. Of course, neither of these two hats are necessarily designed for cold weather. Beanies are customizable hats designed for cooler temps, made from knit fabric and with lots of space available for custom embroidery. Other variations on these three basic styles include sun hats — great choices for an outdoorsy crowd — and fedoras, which hit the mark for both a classic look and a resurging trend. Now that you’re more familiar with the different types of customizable hats and why they are useful, you can begin to consider some creative ways to use them in your business, school, or social groups. Baseball often comes to mind when it comes to sports teams, and baseball caps are a natural choice when it comes to outfitting a team of athletes. You can customize baseball caps for the local Little League-ers, or even your recreational adult softball team. Baseball caps are good choices for other sports, too, like football, basketball, or volleyball players who might wear their hats in between games. Of course, teams exist on and off the field. Let’s say you’ve hired a special team at the office, tackling a tough new assignment or building new software to take your company to new heights. 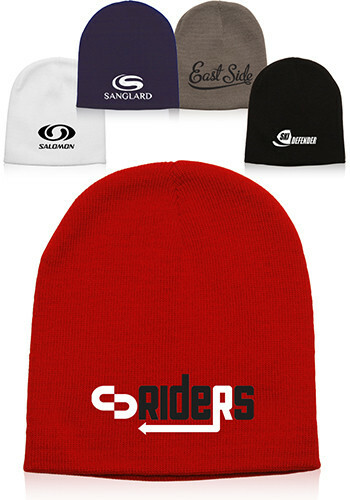 Why not bond the team together with matching hats that bear your company logo? This kind of gesture can go far in solidifying a team’s unity and motivating them toward a common goal. Teachers, coaches, and school administrators — not to mention star athletes, yearbook coordinators, and student body leaders — can all influence a school’s identity and spirit. When thinking about school spirit items that students and educators can wear to show off their pride and energy, consider custom hats. Students will be proud to don a custom cap during the big homecoming game, and teachers will get points for wearing their school’s colors on their caps and visors during field day. Custom hats are especially meaningful when students are selecting higher education institutions. After all, going to college is an exciting opportunity and students love to show off their new school’s colors and logos with custom caps or beanies. Baseball caps with a school’s team logo also make excellent sports-related gifts for athletes or the families of students. Marketing a business is hard work, and you want to make sure that any branded products will help get your name out there. Custom printed caps make a good choice for promo giveaways because they have a lot of room for adding a logo or company name on the front. 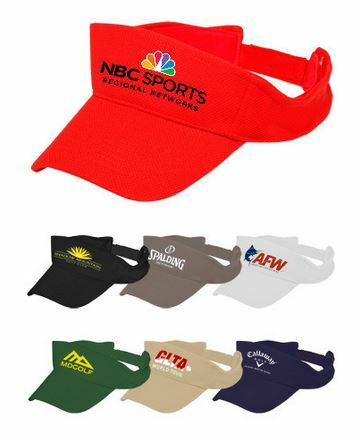 Hats are also lightweight and one-size-fits-all, so there’s no need to worry about special sizes or transporting heavy boxes of apparel to your promo events. Choose a color that reflects your company’s theme to really make your promo items stand out. For an extra polished look, consider embroidering your logo for a long-lasting extra touch. Custom hats are especially great giveaway items for sporting events like charity runs or recreational sports tournaments. Set up a booth and hand them out to athletes, donors, or members of the public. They are also memorable giveaways at trade shows or conventions. You could even pass them out to your key stakeholders or clients, or give them away to prospective customers at networking events. 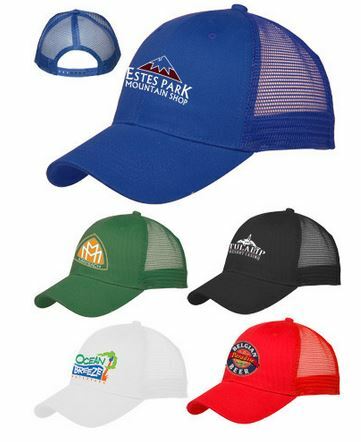 A customized hat can make a big statement for your team uniform, company brand, or school community. Whether you need baseball caps for your staff or beanies for a high school ski team, know that you have endless opportunities to make your hats your own.